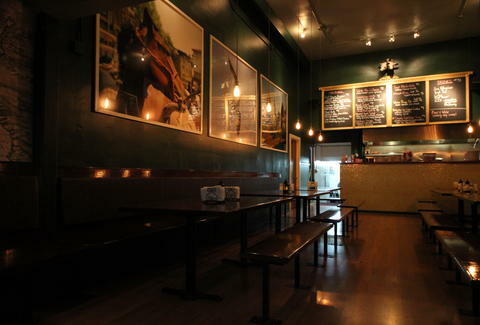 From the guys behind Broken Record, Broken Record, Broken Record, Broke… Rickybobby's a Lower Haight diner with walls covered in a) the owner's brother's photos of animals (horse! ), and b) a desert Star Wars set, so you'll know this is the restaurant you're looking for. 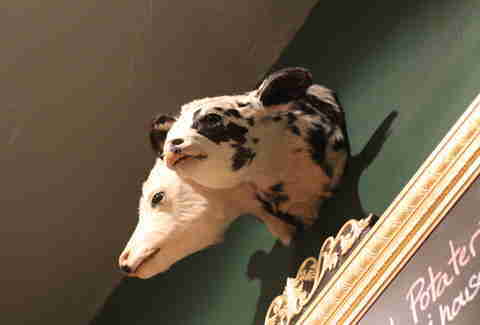 Check out their two-headed taxidermied cow(s…?). 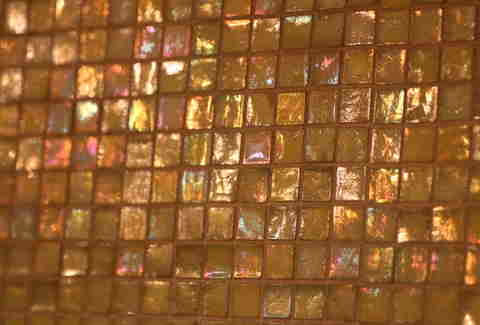 Then find the opalescent tiled counter (the waiters hide behind there). Get someone's attention and start ordering… …comfort food, like these Crawshrimp Grits, which're hidden in a spicy shrimp broth with what Omar Epps accidentally saw that one time in the Princeton Plainsboro men's room (house sausage). 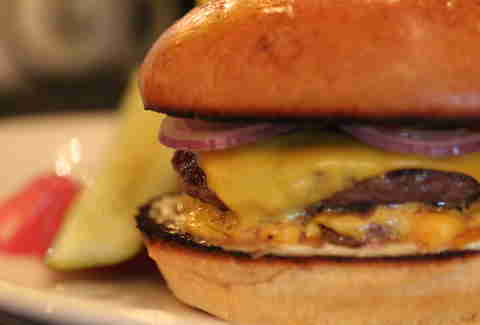 The Beef & Bacon Burger's presented in two beautiful patties and accompanied by pickled onions and pickled... pickles. 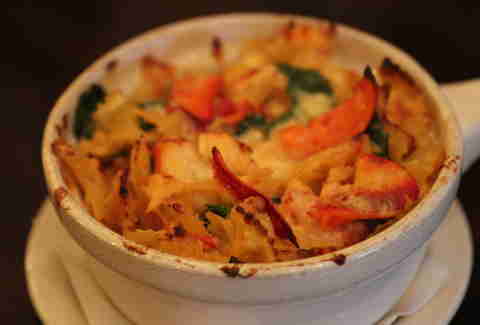 Or you can go for this lobster mac 'n cheese, which's small enough that you should be able to finish it Solo.